As Africa regional director, Greg is responsible for giving leadership to more than 350 missionaries and missionary associates who minister in 50 countries and territories across Africa. Born in Levelland, Texas, Greg was 3 years old when he moved with his family to Tanzania where his parents, missionaries Jimmy and Mary Beggs, began their overseas ministry. Greg spent most of his childhood years in Tanzania and Kenya, and during this time, a deep love for the continent of Africa took root in his heart. Following high school, Greg returned to the United States to attend Central Bible College and pursue a bachelor’s degree in biblical studies. While at CBC, he met Danna Whitney, and the couple married in 1984. Later, Greg also earned a master’s degree in human resources from Azusa Pacific University in Azusa, California. 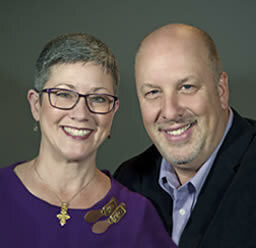 In 1987, Greg and Danna started their missionary service in Tanga, Tanzania. For 13 years, they worked with the Tanzania Assemblies of God fellowship in planting churches along the nation’s coast. In 2000 the Beggs family moved to Kenya, and Greg was named area director of East Africa and the Indian Ocean Basin. This diverse area encompasses a variety of territories ranging from deserts to rain forests. These territories are home to people who are equally diverse who live in villages dotted with mud huts as well as bustling cities of millions. Recently, Greg was instrumental in launching the Live Dead initiative across East Africa. With a major emphasis on reaching people groups with little or no gospel witness, Live Dead is gaining momentum. Church planting team are currently in various stages of development to target strategic area large concentrations of unreached people live. Greg became Africa regional director January 1, 2014. He will continue to encourage church planting initiatives among the unreached while working with national church leadership in establishing and expanding ministry across the continent. Greg and Danna have two children: a son, Nate, and a daughter, Nicole.